We’re going to give it to you straight: power surges are NOT a good thing. In fact, they have the potential to be extremely damaging, costly and not to mention, dangerous! Now, before you start panicking, it’s important to remember that the vast majority of power surges are small in scale, and not really worth worrying about. However, it’s the exceptions to that particular rule you need to watch out for. Unless you take appropriate action to protect your home and minimise your risk, a power surge may force you to make a call to your local emergency electrician! Simply put, a power surge is a brief electrical spike in your electrical current that affects devices and appliances that are part of that circuit. While some power surges come from outside the home (such as lightning strikes and faulty transformers), the vast majority are actually generated within your home, and can occur dozens of times a day. Every time you turn on an appliance, you generate a power surge as electricity rushes towards the appliance or device you’ve just switched on. High-power appliances such as washing machines are the main culprits here, though smaller appliances like hair dryers also generate a small surge. Aside from contributing to ordinary wear-and-tear, the vast majority of these are harmless. Letting high voltage overpower electrical circuits and appliances can have serious effects on your home or business. In particular, it can wear out or damage your appliances and devices by overloading them. Homeowners are advised to regularly let a certified and licensed electrician check their power system. Detecting a power surge can be difficult without proper tools. Most surges last mere microseconds, and rarely present noticeable symptoms like smoke or audible crackling. As we mentioned before, the vast majority of surges go completely unnoticed. If a surge does generate visible or audible signs such as these, we strongly recommend getting in contact with an emergency electrician in Melbourne ASAP! Faulty wiring can be dangerous. And not just because of the risk of electrocution either – damaged wiring is also one of the leading causes of power surges. Exposed electrical wiring can result in electric currents not being directed or channelled in a safe or optimal manner. In addition to putting you at risk of house fires, this also results in abnormal flow of electricity, which can cause surges. The fix? Getting a certified and licensed electrician replace any exposed and damaged electrical wires, of course. One piece of electrical advice we can’t stress enough is to avoid plugging too many appliances at a time in one electrical outlet. 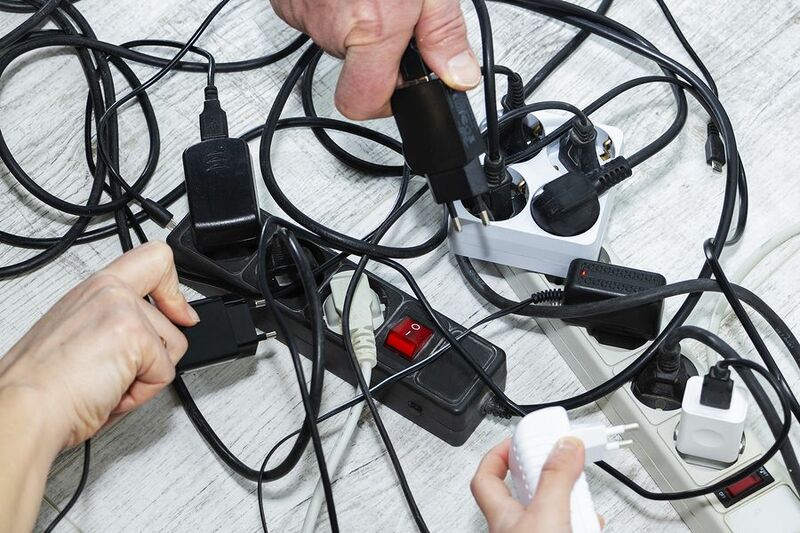 Now, we aren’t saying that you can’t use power boards and extension cords – what we are saying is that you should avoid going overboard with them! A circuit with too many appliances connected to it can struggle to keep up with demand. When you use the appliances on the affected circuit, this can cause large amounts of power to be supplied to the circuit, causing power surges. The solution is to avoid overloading your outlets and circuits. Another solid piece of advice is to swap out your old powerboards for newer ones with built-in surge protection. Lightning strikes: the ultimate power surge. While there isn’t much you can do to prevent a lightning strike, there are a handful of things you can do to protect yourself from significant damage. One idea is to install a lightning rod that will draw lightning strikes away from your home. Another precaution is to turn off and unplug all appliances during a thunderstorm – that way, at least some of your appliances will be spared. Turning on the power after blackout can cause an excess level of electrical power to run through the power lines. That’s because every single appliance regains power at the same time, causing a pretty dramatic power surge. The inability to contain the sudden burst of electrical energy can cause excess power to be sent to appliances and devices, potentially damaging them. Have you noticed your lights flickering whenever you turn on the air conditioner or the washing machine? Certain appliances consume a high amount of electricity – this is especially problematic for commercial properties. Excess in power and a large amount of electricity from these appliances can overpower and damage electrical circuits causing a power surge. If your livelihood relies on running multiple high-voltage appliances at once, you may need your circuitry replaced with higher-capacity wiring. While there are several things you can do to protect yourself in the event of a power surge, sometimes things simply might slip through the cracks. When this happens, you need a professional on your side. Briggs Electrical is an emergency electrician in Melbourne. 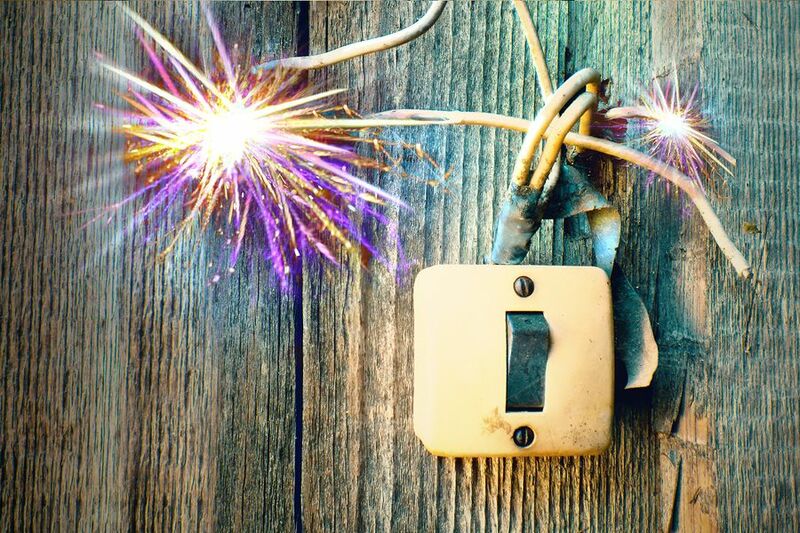 We specialise in developing solutions that keep you safe from electrical emergencies. Our emergency electricians do this by installing surge protectors, as well as identifying and fixing any faults with your home’s wiring that may result in power surges or other problems. Contact Briggs Electrical on 1300 300 222 or fill in the form to lodge a job with us online!